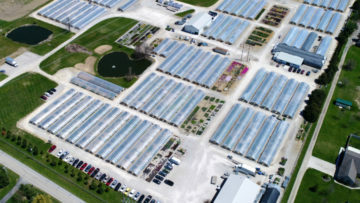 Millcreek Gardens LLC is a wholesale greenhouse and nursery operation that produces the highest quality perennials, herbs, ferns, ornamental grasses, groundcovers, annuals, and flowering shrubs in the Ohio Valley region. We deliver our plants on our own trucks anywhere within Ohio as well as Indiana, Pennsylvania, Kentucky, Michigan, West Virginia, and select areas of Illinois. Here is more information on our delivery service. We make it easy! The best way to submit your order is via email by completing our Availability List. [Please contact us to request the Order Form, which is only available for pre-orders until March 1 each year]. You can also FAX your order, or call us toll-free during business hours. You may order plants from our weekly Availability List at any time for pickup or delivery in the current week. A Tentative Shipping List will be sent to you via email (or fax) to confirm your order. 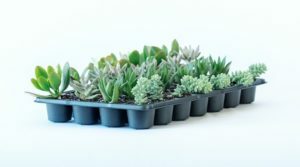 You may also place a “Pre-Book Spring Order” using our Digital Order Form for plants you wish to receive at a specific ship date in the future. Pre-Book Spring Orders must be placed by March 1, 2019. We will reserve your plants and an acknowledgment will be sent. Multiple ship dates are accepted. Pre-Book Spring Orders will be shipped in their entirety (subject to availability) on the date(s) you specify.